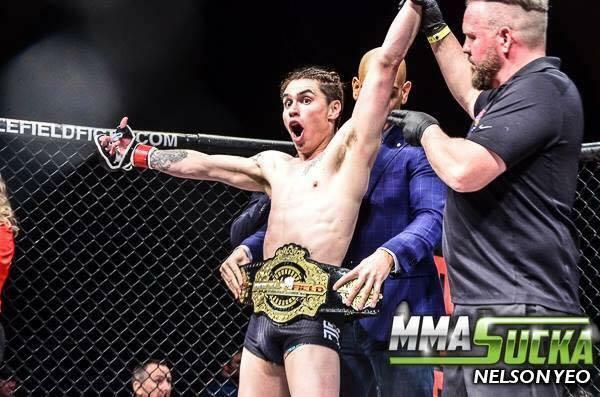 By Daniel Greene - Lifestyles Editor · April 5th, 2019 at 11:30 a.m.
Hall sets his sights on the big leagues after his latest win against Casey O’Leary. 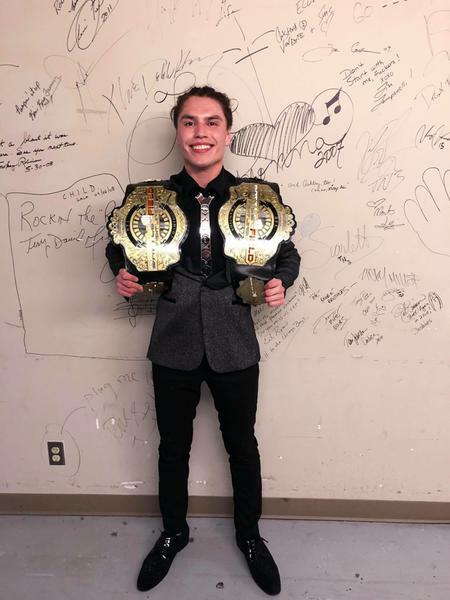 Oliver MMA fighter Marlan “Pretty Boy” Hall defeated Casey O’Leary at the Hard Rock Casino in Coquitlam March 16, thereby defending his Battlefield Fight League featherweight championship and extending his amateur win streak to five. In the days leading up to the fight, O’Leary took to social media to taunt Hall. O’Leary’s efforts culminated in the now-infamous incident where O’Leary patted Hall on the head during the weigh in. But according to Hall, it takes more than that to get under his skin. Hall’s fans were quick to condemn O’Leary’s actions on social media, and many shared their ecstatic reactions to the moment when Hall TKO’d O’Leary via Kimura. Though his fight stats will show that three out of his last five fights were won through submission, Hall actually considers himself more of a striker. While Hall has always believed he has what it takes to go pro, this latest win is just more proof that he’s good enough to enter UFC or Bellator. After months of training and camps, Hall is now enjoying some much-deserved time off with his family and friends. Hall currently lives in Penticton and works full time as a Muay Thai Kickboxing instructor for Pacific Top Team. March 15th, 2019 at 11:53 a.m.